This detached luxury chalet is located at Skiresort Koralpe, at an elevation of 1600 metres above the town of Wolfsberg in Austria's sunny Carinthia. The romantic detached chalet is very fully furnished and equipped with all the conveniences. For ultimate relaxation, the stylish chalet has a large in-house wellness area with its own sauna, loungers, shower, TV and a wonderful bathtub with a beautiful view. The chalet has 3 bedrooms and 3 bathrooms, a fully equipped open-plan kitchen and a spacious living room with a modern fireplace, wonderful for those cosy winter evenings! 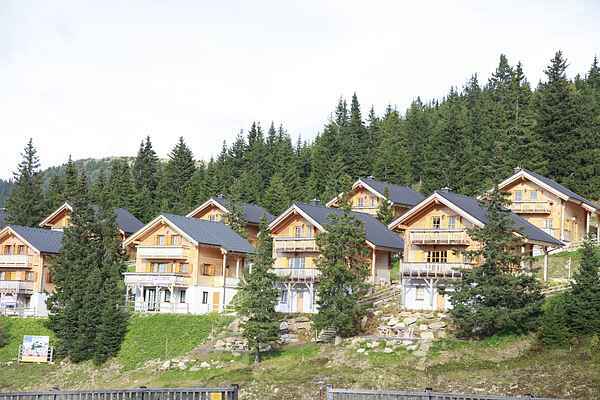 You have a beautiful view of the surrounding mountains from the chalet as well as the balcony. The chalet is located at the foot of the ski slope and ski lifts, so it's ideal for a winter holiday. The ski area has about 30 km of ski runs and is suitable for skiers of all ages. In summer there is a wide range of activities to choose from, such as hiking, mountain biking and paragliding. The Koralpe has an extensive network of lovely hiking trails for exploring beautiful nature areas. Carinthia's lovely lakes are also just about a half-hour drive away. With all this and more, it's a wonderful holiday destination year round!